This bill would provide grant for camera purchase and requirements for data storage. This bill would establish the National Criminal Justice Commission. HR 2629 Appropriate designation of collective bargaining units. This bill amends the National Labor Relations Act to provide for appropriate designation of collective bargaining units. This bill claims to provide protections for workers with respect to their right to select or refrain from selecting representation by a labor organization. S 1217 Appropriate designation of collective bargaining units. This bill would repeal the authority under the National Labor Relations Act for States to enact laws prohibiting agreements requiring membership in a labor organization as a condition of employment, and for other purposes. This bill would provide protections for workers with respect to their right to select or refrain from selecting representation by a labor organization. This bill would prohibit state or local restrictions on law enforcement immigration enforcement. This bill would prohibit State and local officers and employees from performing immigration officer functions. This bill would put certain limitations on the transfer of personal property to Federal and State agencies. This bill would require officer sensitivity training and independent investigation of deadly force use. This bill would require reporting of all use of lethal force. This bill would prevent the militarization of Federal, State, and local law enforcement by Federal excess property transfers and grant programs. This bill would give US Capitol Police the option to delay retirement. This bill would Amend the FMLA to include Grandparent/children. This bill would increase Federal Pell Grants for the children of fallen public safety officers. This bill would attempt to provide programs to protect the mental health and wellbeing of America’s law enforcement officers. This bill addresses Federal officer overtime into retirement. This bill prohibits restrictions on federal resources transfer to state/local law enforcement. This bill provides for the flying of the flag at half-staff in the event of the death of a first responder in the line of duty. This bill enhances penalties for conviction of assault on Law Officer. S 1175 Protect Federal, State, and local public safety officers. This bill will enhance penalties for assault or killing of law enforcement officer. 2561 Permit uniformed officers carry firearms in certain Federal facilities. To read text of listed bills click on the Library of Congress link below then enter bill #. 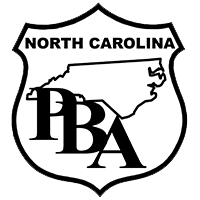 Deputy Garrett Johnson recently became the 13,000th member of the North Carolina Police Benevolent Association. I was cleared and no action is being taken against me. Case has also been handled in court and incident is finished. I greatly appreciate the service you all provide. It?s good to know that if I needed you all, that you were there. Thank you. A vote for these candidates is a vote for the men and women of law enforcement and the citizens they serve!